Learning a musical instrument is a challenge. It requires the development of good discipline, self expression, communication, and collaboration skills through a fun experience. 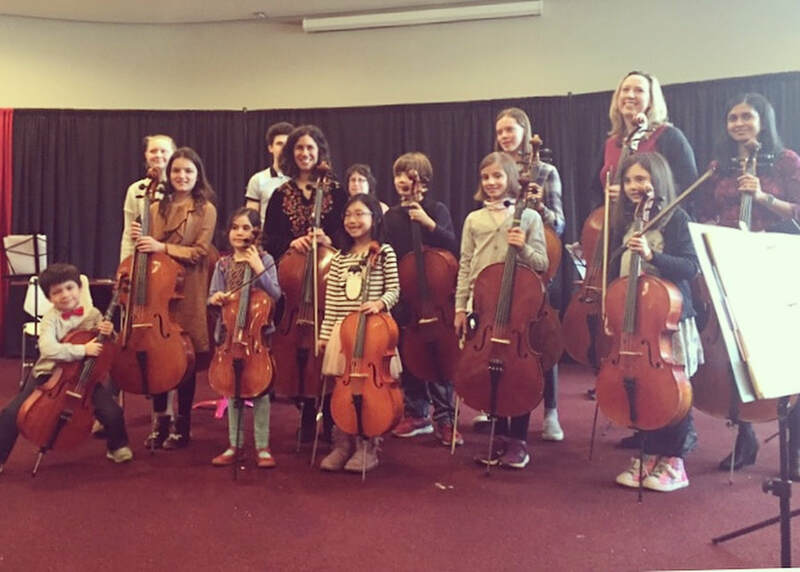 ​Ezgi is specialized on modern and baroque cello but she also offers chamber music coaching, posture practice, meditation practice with instruments, martial arts,and energy work. She commits her time and energy into teaching and she enjoys doing it. Besides holding a masters degree double majoring in cello performance and string pedagogy, Ezgi trained in Orff and Suzuki Methods. After years of teaching experience in various settings such as private lessons, orchestra sectionals, and group classes while teaching violin, viola, cello , bass, and piano working at schools and El Sistema Organizations, she likes to mix her teaching with different approaches from her past experiences including Yongmudo / Hapkido (Korean Martial Art) techniques which she ranks as a 1st Dan Black Belt. Ezgi loves teaching because she thinks of it as leading others to express themselves through experience; to represent their individuality through music. In the words of Ezgi, "We are social creatures. It is very precious to create an environment where people think, learn, share, enjoy, and can be themselves at the same time."